Right at the heart of CBeebies Land there is a Toy Shop that your little explorers are sure to want to discover. 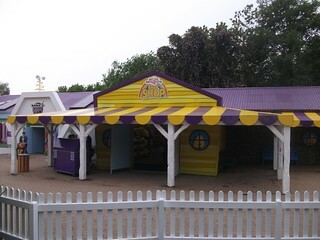 The Little Explorers Toy Shop is crammed to the rafters with all manner of CBeebies souvenirs, including many lines that are exclusive to Alton Towers. The Toy Shop is also the place you'll want to go to buy a postcard for delivery from Postman Pat's Parcel Post (the postcards even come with postage included).